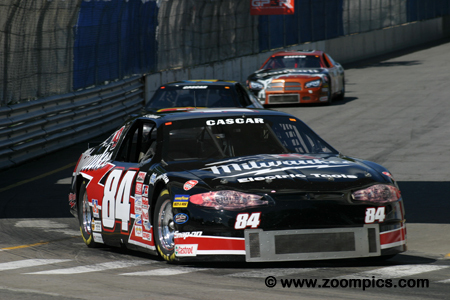 There was big news for the Canadian stock car racing community in 2006. The Canadian Association for Stock Car Auto Racing (CASCAR) which was founded in 1981 by Anthony Novotny was sold to NASCAR. Announced in September, NASCAR also revealed a long-term sponsorship agreement with the Canadian Tire Corporation. 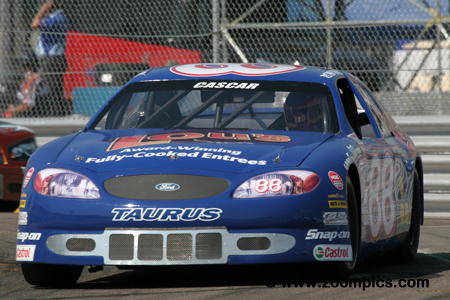 The 2006 CASCAR season opened in in late May at Barrie Speedway. 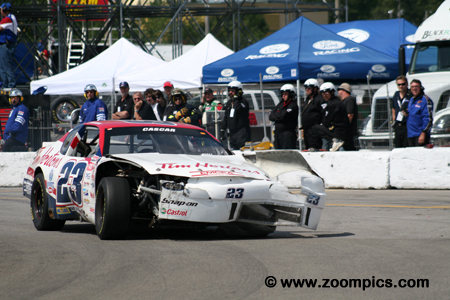 The opening round was followed by races at the Mosport road course and a second visit to Barrie Speedway. The teams then traveled west competing at Vernon, British Columbia and the Edmonton City Center Airport. In August, the series stopped at Trois Rivieres, Quebec and another weekend at Mosport but this time it was on the oval. These events were followed by a race at Circuit Gilles Villeneuve in Montreal and Cayuga. The penultimate round was at St. Eustache with the finale being held at Kawartha Speedway. There was a total of eleven race weekends in four different provinces. The cars competing in the championship are constructed to specifications and rules common to most stock car series. The chassis is a steel tube frame design covered with a fiberglass body. Cars are required to weigh no less than 3000-lbs. Body styles are from manufacturers such as Dodge (Charger), Ford (Taurus) and Chevrolet (Monte Carlo). Engine type and displacement are dictated by the make and model of the vehicle. The carbureted eight-cylinder motors used in the series produce approximately 500-horsepower. Depending on the gearing, these cars are estimated to have a top speed of 160-mph. The Trois-Rivieres event was round-six of eleven and was sponsored by Arctic Cat. Twenty-five drivers would compete on the very tight ten-turn 1.521-mile street course for forty-two laps. 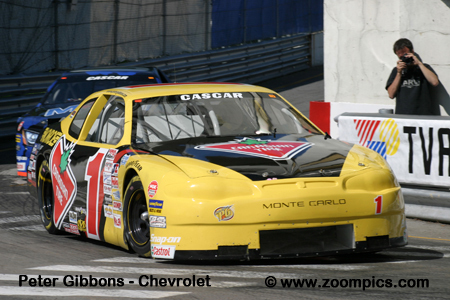 2001 was the last time the CASCAR series visited Trois Rivieres. The race was dominated by Don Thomson, Jr. until lap-41 when the transmission failed on his car – he finished tenth. Seeking redemption in 2006, Thomson qualified the Home Hardware sponsored Chevrolet Monte Carlo on the outside of the front. On lap-3, he passed the pole-sitter Kerry Micks for the lead and won by a margin of 0.495-seconds. The point’s leader heading into the Trois-Rivieres weekend was J.R. Fitzpatrick driving the Milwaukee Tools Chevrolet Monte Carlo. Fitzpatrick’s place in the standings could be attributed to his consistent finishes and his first career victory (which was at Barrie Speedway). He qualified third for the Arctic Cat 100 and assumed the runner-up spot when Kerry Micks retired on lap-4. Fitzpatrick left Trois-Rivieres with his points lead still intact. Ron Beauchamp’s best result to date was a runner-up finish in round three at Barrie Speedway. In his 2001 start at Trois-Rivieres, Beauchamp qualified eighteenth and finished eleventh. 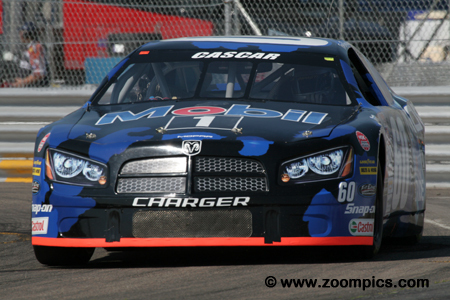 Driving the Mopar/Mobil 1/Exide Battery sponsored Dodge Charger he qualified fifth on the grid. At the checkered flag, Beauchamp grabbed the last position on the podium. Kerry Micks was always competitive on the road courses and Trois-Rivieres would be no exception. 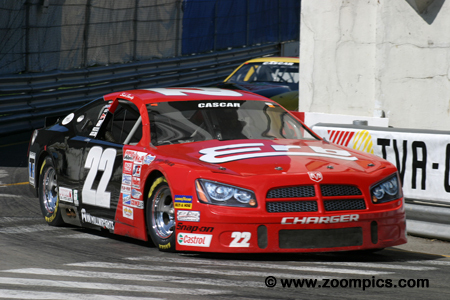 He was victorious in the 2005 ATTO 100 at the Toronto Indy and won this season’s Clarington 200 at Mosport. Micks was the fastest qualifier at Trois-Rivieres. Unfortunately, the driver of the No. 02 Canadian Detailing Services Ford Taurus retired after only four laps with an engine issue. Robin Buck was always a favourite to win on the road courses. Buck began his road racing career in Formula Fords and was one of the front-runners in the highly competitive Player’s GM series. 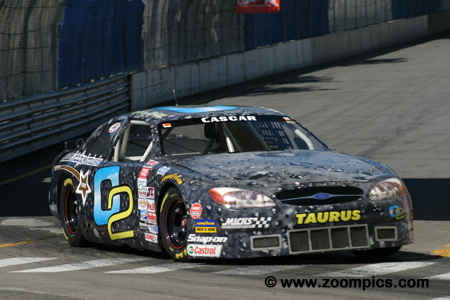 At the Grand Prix de Trois-Rivieres, Buck drove the Dave Jacombs CPS Flooring Ford Taurus. He started and finished fourth. Another driver with a lot of road racing experience was Jeff Lapcevich. Lapcevich won the previous round held on a temporary road course at the Edmonton City Center Airport. He gained much of his experience competing in the Motorola and Grand Am Cup showroom stock series. Lapcevich drove the Tim Hortons/EMCEA Transport sponsored Chevrolet Monte Carlo. Unfortunately, his race came to an end on lap-10. The No. 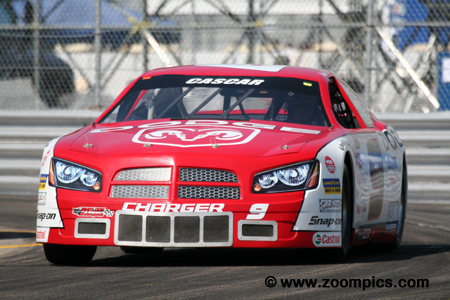 9 Mobil 1/Exide/Leland Industries/Avenue Motor Works Dodge Charger was driven by series veteran, Mark Dilley. Like Don Thomson, Jr., he was seeking redemption at the Grand Prix de Trois-Rivieres. Dilley was the first to retire when the series last visited in 2001. In qualifying, Dilley recorded the ninth quickest time and moved up the race order for finish fifth. Scott Steckly driving the ERB Transport/AW Millwrights Dodge Charger turned a time that landed him sixth on the starting grid. His best result to date was a victory in the opening round at Barrie. And, in the series first road course event at Mosport, Steckly was third. 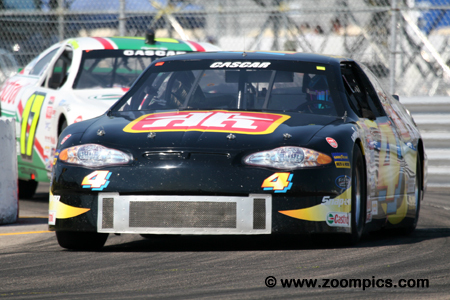 At Trois-Rivieres, he maintained his starting position and was sixth at the checkered flag.